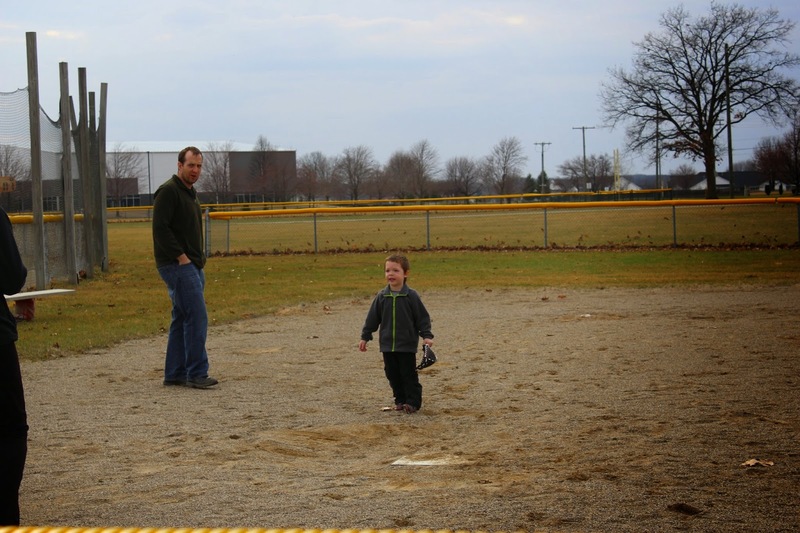 The Hayes Homestead: Batter Up! 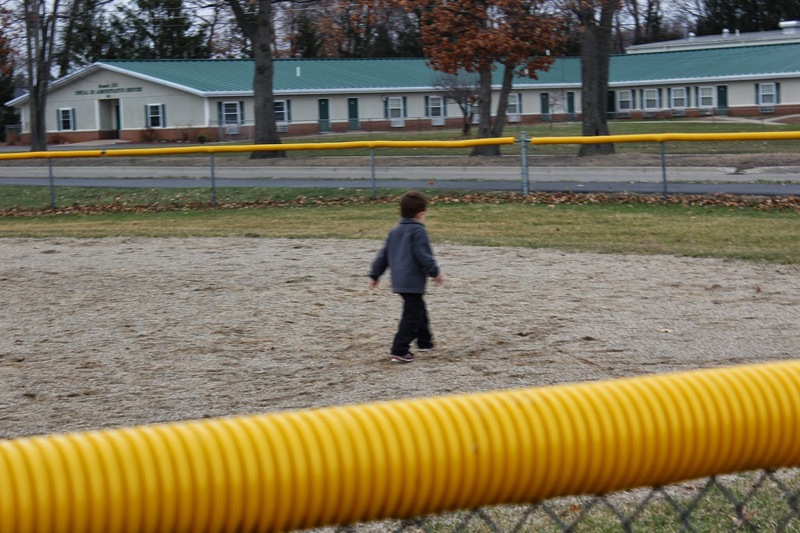 Years ago Jason and I would take Oliver for walks around our local park. 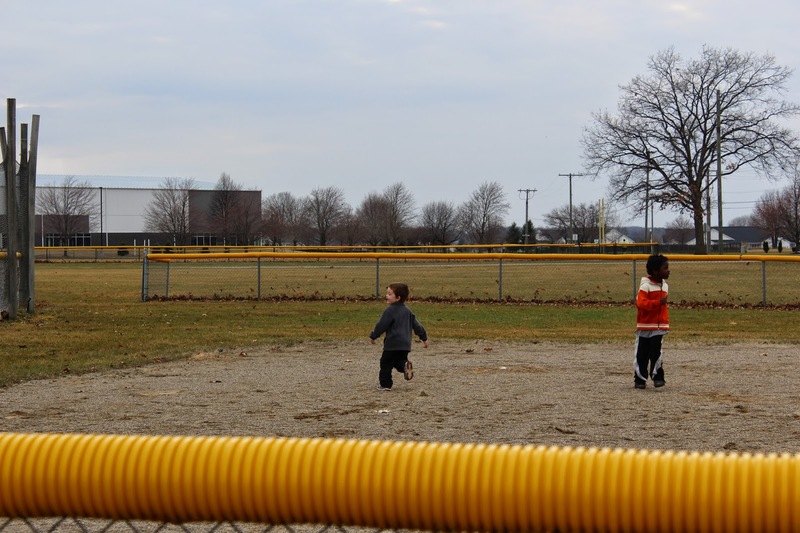 We would occasionally walk by the t-ball fields when the adorable 4 and 5 year old kids were playing. I remember thinking one day that will be our kid. Now it is one of our kids! 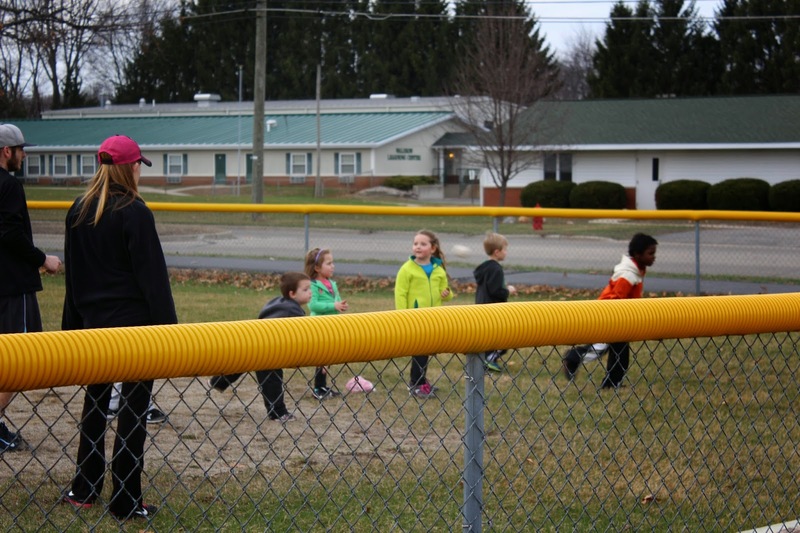 Redmond had his first t-ball practice this week and it was ahhhh-dorable. I mean, how could it not be!? They played a lot of freeze tag (why do I have a feeling I'll be playing a lot of that this summer!?) 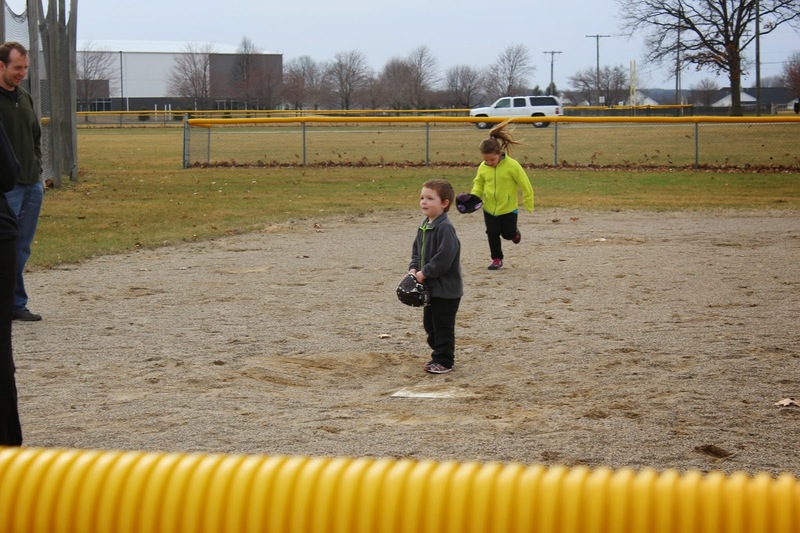 and ran the bases a bit. It was so cute! 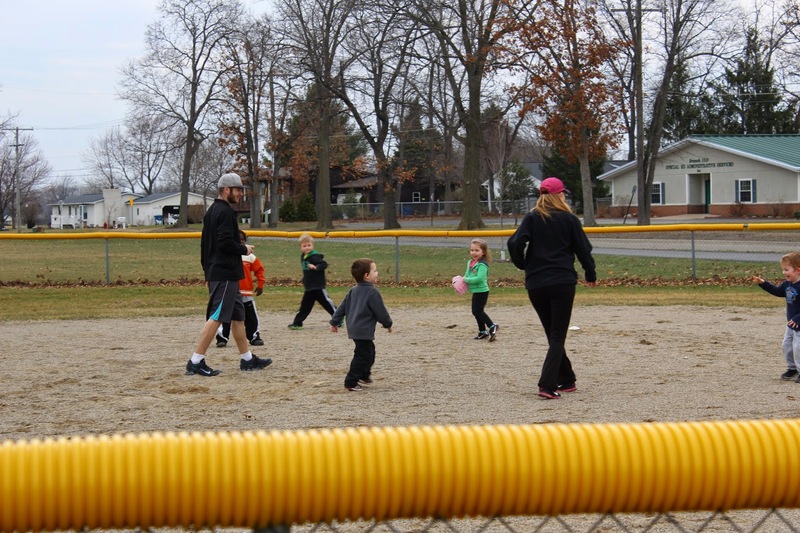 They also worked a little on throwing the ball. 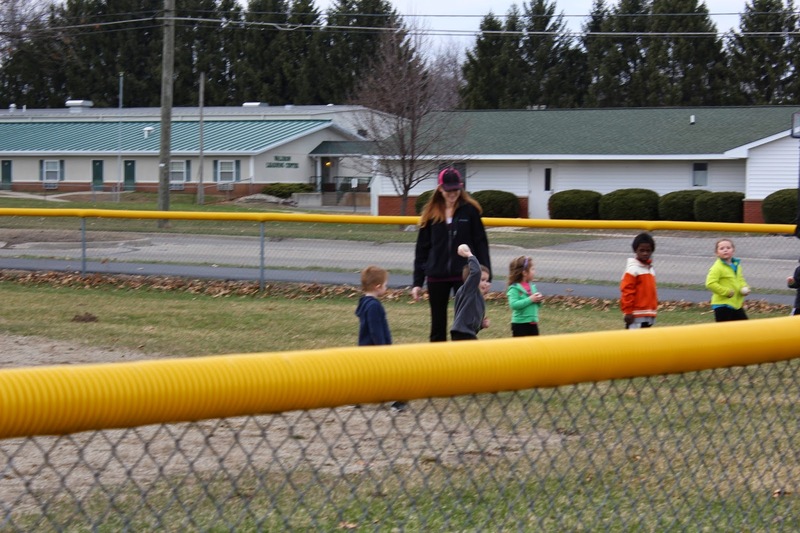 Have you ever seen a bunch of 4 year olds throwing baseballs? It was quite entertaining! He was apprehensive about trying something so new, but he did great and he loved it!